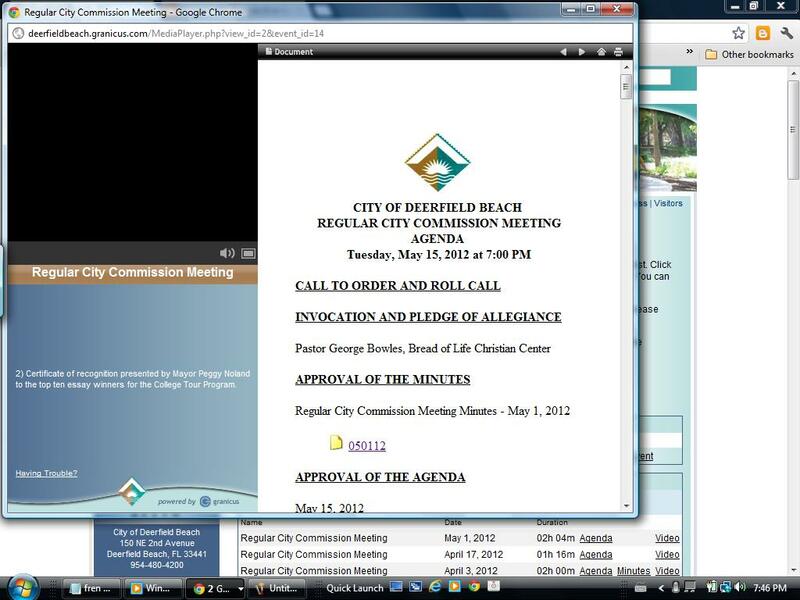 My Perspective is not the only perspective: City of Deerfield Beach Commission Meeting Live Feed GOES BLACK??? City of Deerfield Beach Commission Meeting Live Feed GOES BLACK??? 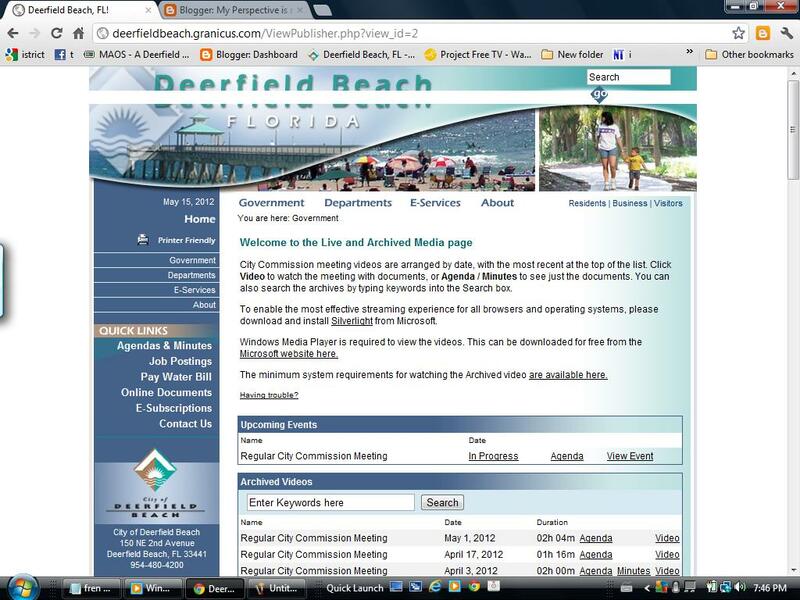 City of Deerfield Beach Commission Meeting live feed just went down at 7:12pm. We got to see the photo ops of the Mayor, but we did not get beyond that. It is now 7:49 pm and it has been off since that time. I have emailed the City Clerk, Commissioners, and Mgr to notify them and see what is going on, but nothing. I hope there is no funny business afoot so they can have Ada change the minutes... I personally wouldn't put it pass them. Ganz stopped the progress of the meeting to announce that Maurice "mis-spoke" at the last meeting. She did not mean to say she spoke with 5 DBHA Commissioners, she meant employees. I wish I was there in person to hear what Pam Davis, who last meeting John Maurice stated complained to her for months about Caryl Berner's behavior, came to say. To bad the City Live Meeting Feed has been corrupted and we will probably never know, unless there was a back-up video.